It’s that time of year when it’s acceptable to put on my candy cane fuzzy socks, make myself a steamy cup of hot chocolate and watch a Christmas movie. If the jokes from “Elf” are finally getting old and “Love Actually” just isn’t going to cut it, Hallmark has you covered. 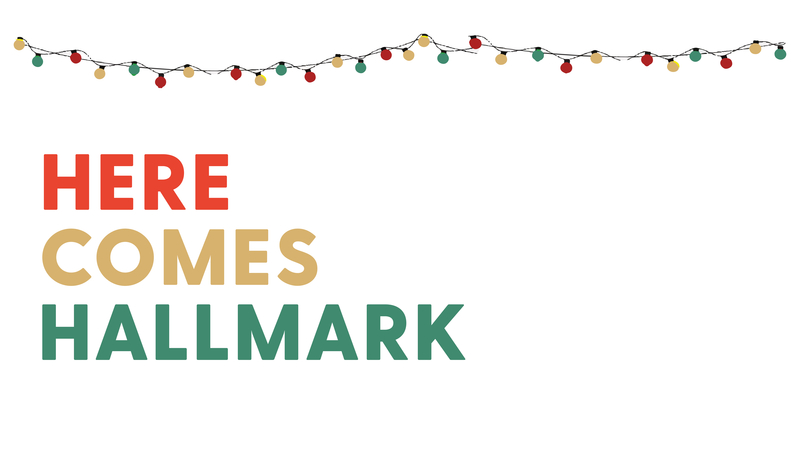 The Hallmark Channel releases new holiday movies each year that are perfect for post-finals relaxation. I couldn’t wait for this movie to premiere simply because portions of the movie were filmed in Graceland — yes, Elvis Presley’s Graceland. A southern take on a classic Christmas movie plot, “Christmas at Graceland” is about a musician-turned-businesswoman who returns to Memphis on a business trip and reconnects with old friends and rediscovers her love of music. Although I usually shut movies off after the first country song, I managed to watch the entire movie, commercials and all. Country pop singer Kellie Pickler played Laurel, the female lead. This was her first major role in a movie, so I had little expectations for her acting. And indeed, her acting proved to be subpar — for example, if I was casted, my performance could have matched hers. However, she was the embodiment of a southern country artist with the perfect twang. Her singing at various concerts and dates in the movie was impeccable, although she sang “Silent Night” enough times that I was wondering if the same scene was on loop. What Pickler may have lacked in acting, male lead Wes Brown — cast as Clay, Laurel’s old friend and newfound love interest — made up for it. Having starred in three previous Hallmark Channel movies, he is a well-seasoned actor and perfect fit for the role of a rising Memphis musician. Although the plot line was as predictable as all Hallmark movies are, the emphasis on family and going back to your roots makes for a classic Hallmark feel-good guaranteed to make your mom tear up. If you can’t stand southern accents, country music or romantic storylines, this may not be the Hallmark movie for you. “Christmas in Evergreen: Letters to Santa” is a shockingly decent movie for a plot that is overdone; girl returns home to “rediscover her roots.” How many times do I need to watch two people falling in love in their hometown years after being friends? Jill Wagner, who stars as Lisa, is a phenomenal actress. Out of all the actresses in these Hallmark movies, Wagner tops the list for her genuine emotion that turned a basic script into something more substantial and actually made a romance almost believable. To fulfill her New Year’s resolution before the end of the year, Lisa returns home to Evergreen only to find the historic general store closed. She rallies the town and uses her retail skills to try to bring the store back to life — convincing local contractor Kevin to help in the process. The “Letters to Santa” refers to a 25-year-old letter that the townspeople find that brings back old memories and Christmas joy. I was already in the Christmas spirit Nov. 1, but this movie reminded me why I love Christmas — the snow, quality family and friend time and reliving past holiday traditions. Once again, the Hallmark Channel filmed this movie in another gorgeous spot — Burnaby Village Museum in Burnaby, British Columbia. The lush evergreens and rich, natural, snowy setting only added to the magical Christmas feel. With romance brewing between Lisa and Kevin and a town filled with people working to save the store, this movie made me remember all the joys of the holidays and past holiday traditions which kept me thoroughly entertained until the very end. I would be lying if I said any movie involving romance and a palace isn’t intriguing, and I was most excited to see this movie’s premiere on Thanksgiving evening. “Christmas at the Palace” exceeded my expectations. “Christmas at the Palace” is based on the standard “king falls in love with a commoner” plot, but with a twist. The young, widowed King Alexander comes across as a grinch to his people. Katie, played by Merritt Patterson, is the ice skater that — with the help of the king’s daughter — works to restore Alexander’s image. The scenery throughout the movie showcases gorgeous views in Romania, the real life setting for the fake San Senova country in the movie. Like most Christmas movies, the storyline is based on a love story. And in this case, whether or not Katie, a foreign ice skater, would be the ideal modern candidate for queen. For a basic plot, the movie was executed well and included the typical feel-good moments that Hallmark does so well. With the addition of Alexander’s daughter Christina, played by India Fowler, the movie delves into the importance of family. For being young, Fowler’s acting was believable and cute — for a child. Luckily for me, I recorded this movie and was able to fast forward through commercials as I watched after my Thanksgiving Day celebrations. I didn’t have to wait for Black Friday commercials to find out if the King chose love over royal tradition. At some points during the movie, I physically cringed, but in the best way. When Katie runs into the king and doesn’t realize it, I was embarrassed for her. Sparks nearly flew out of the TV screen as Katie and King Alexander had the uncomfortable yet romantic encounter. Filled with plot twists, romance and the holiday joy, this is by far my favorite of the three Hallmark Channel movies I watched.